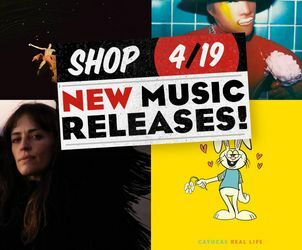 New releases this week include Cage The Elephant, TR/ST, The Rolling Stones and Cayucas. The Destroyer – 1 by TR/ST has just been released on CD, LP and indie exclusive color vinyl. 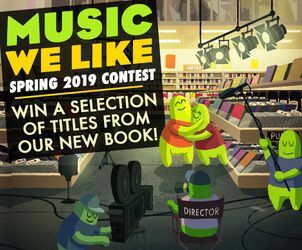 Enter to win a stellar selection of titles from our Spring 2019 Music We Like Book, out now. Great Deals on Handpicked Titles! Back in fall 2014, Portishead's Beth Gibbons performed Henryk Górecki’s Symphony No. 3 with the Polish National Radio Symphony. Out now via Domino, the album marks Gibbons' first release since Portishead's 2008 LP, Third . The whole affair was conducted by Krzysztof Penderecki, known as Poland's greatest living composer, and recorded live. The singer ventures into soprano territory here (she's a contralto) and performs in the original Polish, to thrilling effect. As fans would expect, it's a lush, moving, and deeply vulnerable performance from an artist who leaves listeners clinging to every word. Bolden , the new biopic about New Orleans jazz king Charles “Buddy” Bolden, was not only produced by current icon Wynton Marsalis, but he also performed the music that takes center stage in the film. The soundtrack is a feast of that pioneering Big Easy brass sound, reviving many ragtime numbers that Bolden made famous. Delivered here by Marsalis with a wellspring of talent that includes Catherine Russell, Brianna Thomas, Victor Goines, Wycliffe Gordon and more, the music vividly captures the sound of a turbulent era from which a brand new genre exploded – forever changing American popular music. Khalid’s Free Spirit is smart, soulful, and smooth as silk. The Grammy nominee infuses alt-R&B sensibilities into instantly addictive radio-friendly jams — it’s a winning combination. Khalid’s honeyed voice floats over the glossy, sometimes trippy production, the lyrics candid, vulnerable, and brave. There’s a reason Khalid has gotten so much buzz and this excellent album proves he deserves to be at the top. Essential listening for fans of sultry, sophisticated R&B. Heather Woods Broderick’s latest release, Invitation , is atmospheric, melancholy, and as familiar as a half-remembered dream. 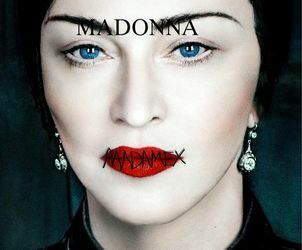 The singer-songwriter named the album as a nod to a quote from American author Thomas Moore about how “to be a person means to be faced every minute with the decision to live or die; to accept the invitations for yet more vitality or to decline them out of fear or lethargy.” It’s a pretty apt synopsis of the album’s lyrical concerns and pervasive mood — shadowy and strange yet ultimately uplifting. Fans of past tour mates Horse Feathers and Sharon Van Etten won’t want to sleep on the intriguing Ms. Woods Broderick’s Invitation . In 1984, The Heartbreakers reunited for a rough, rowdy, and very rock ’n’ roll live concert performance of some of Thunders’ greatest hits. Long considered lost, this CD/DVD combo release was originally filmed for a TV broadcast at Madrid’s La Edad De Oro. Rock out to the sound of Thunders backed by fellow New York Dolls Sylvain Sylvain and Jerry Nolan with OG Heartbreaker Billy Rath. Featuring live takes of “Personality Crisis,” “Too Much Junkie Business,” “Born to Lose,” and other classic tracks, it’s pure punk heaven. Emily Reo makes an attention-grabbing entry into the field of smart, shimmering electropop with Only You Can See It . Lush and vibrant, the album is jam-packed with glorious washes of sound, candy sweet vocals, and glittering synths. Reo has been crafting dreamy indie music for a decade; with its addictive melodies and pop-leaning sensibilities, it seems likely Only You Can See It is the LP that will catapult her into the spotlight. Don’t sleep on this gorgeous, golden electro extravaganza. Ace Frehley shows no signs of slowing down at 67, with his third solo album of straightforward F-off rock n' roll. Several tracks on Spaceman were co-written with Gene Simmons, and most of them boast enough still-blistering guitar solos to satisfy KISS fans. 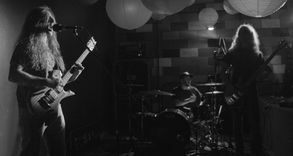 “Your Wish Is My Command” is a clear highlight with its cruising, feel-good chorus, as well as the faster-paced rocker “Bronx Boy.” Instrumental closer “Quantum Flux” goes against the grain delving into prog-rock territory and adding a little extra texture. DJ, producer, and Hot Creations label co-founder Jamie Jones talks about the new Blood Orange album, a favorite from salsa legend Willie Colon, and the modern band that kicked-started his exploration of jazz music. Pre-order Flying Lotus' new album Flamagra on Amoeba Exclusive Opaque White Vinyl. Limited Edition of 500. Give the music or movie lover in your life a gift certificate for our stores or an online gift code. Our new limited edition floral logo t-shirt looks great on everyone! Available in sizes XS-XXL online and in-store at Amoeba Hollywood.